Looking for a five minute Christmas Craft to do with the kids this weekend, or even with a sneaky cocktail once the kids have gone to bed? I went to a Christmas Craft event, with my mum at her church last night. There were lots of tables set up with various festive crafts. 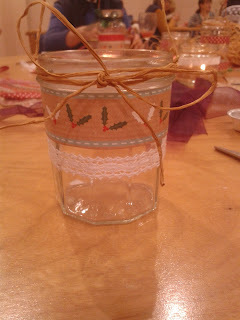 This mason jar craft was really simple and mess free, so I thought it was the perfect thing to share on my blog. At the event they had all the ribbon and paper pre cut to the widths of the jam jars. All we had to do was wrap and stick our chose bits around the jar. These would make love centre pieces for your table or festive decor for your mantle piece. 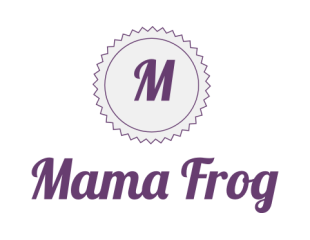 This was my first experience of a craft party, but I enjoyed it and would go to another. Have you ever been to a craft party?